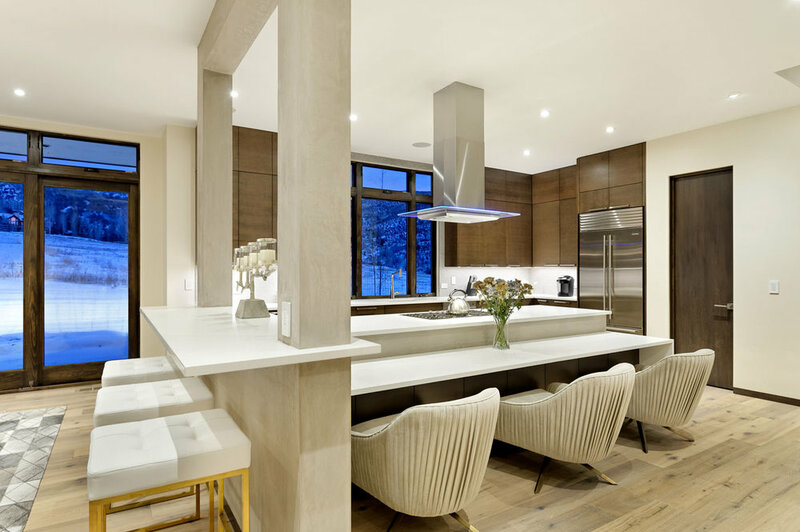 Residing on the main level of this Snowmass home is a modern kitchen perfect for daily use and entertaining alike. Open to living and dining spaces, the kitchen is the cornerstone of this home. The kitchen functions smoothly thanks to its large-scale, high-end appliances, ample storage with plentiful upper and lower cabinets, and a directly adjacent pantry. The sink is centered on a large window with views of the elk migration corridor and open-range pastures. An expansive kitchen island offers three surface levels each ideal in their own right for cooking and prep, lounging, and even casual dining. A framed opening surrounding the bar height seating is used to mask necessary structural elements and also acts as a partition separating the kitchen and dining. Gorgeous Venetian plaster wraps the entire island truly making it a centerpiece feature. Quartz was chosen to fulfill the desire for a versatile, high-end, and durable countertop. The material seamlessly transitions across all counter heights and cascades down to the knotty European white oak floors. 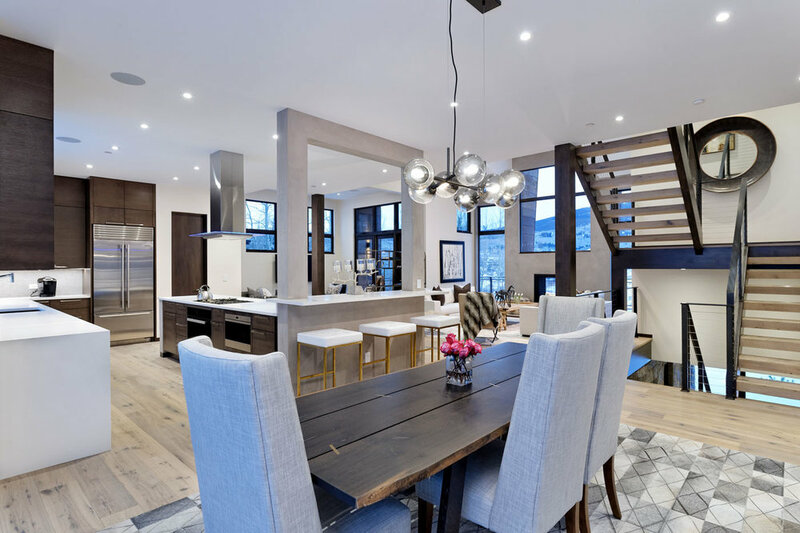 Accompanied with warm stained, quarter sawn, white oak cabinetry the materials balance and compliment each other to create an overall sleek, contemporary look.